These attacks against the legal profession affect the whole population in Turkey. Lawyers are not able to communicate in private with their clients, which violates the principle of legal professional privilege and the confidentiality between lawyers and their clients. Citizens are sometimes unable to obtain legal representation because lawyers refrain from taking on cases for fear of reprisals against them. 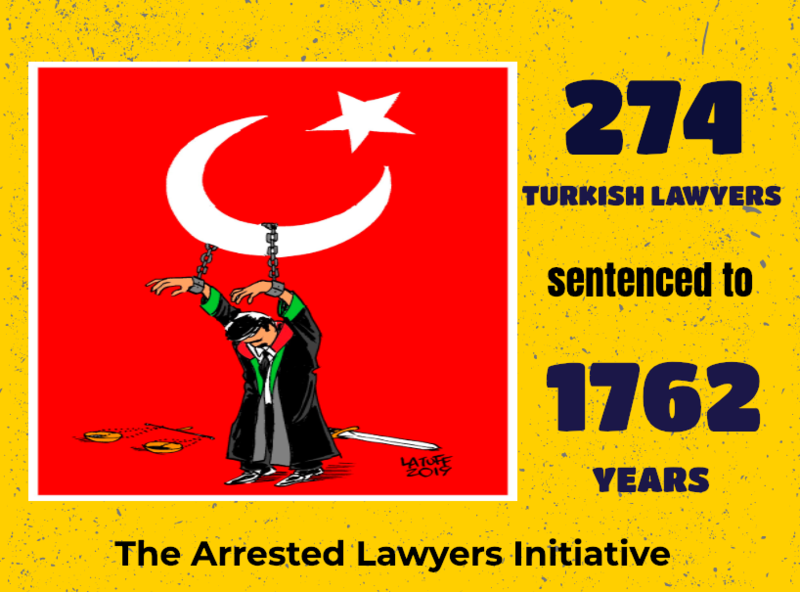 This severely restricts access to justice and erodes the rule of law in Turkey. This escalation in the targeting of lawyers goes hand in hand with legislative reforms, adopted during and after the state of emergency, which have permanently curtailed the rule of law and the independence of the judiciary and the legal profession in Turkey. These legal reforms granted the Turkish government new powers to interfere with the work carried out by the judiciary and the prosecution services, including the power to dismiss judges, prosecutors and court officials; to control appointments to key judicial positions and other institutions; and to arrest and prosecute thousands of lawyers, judges, prosecutors, and court officials. In these challenging times for the legal profession, we join efforts to support our Turkish colleagues and to address these threats and violations of human rights. Immediately end the interference and systematic persecution of Bar associations and Lawyers’ associations as well as the arbitrary arrest and prosecution of their members.